There is NO race day registration, so sign up online to secure your spot before the race sells out. Registration will be opening in late September/early October. Please check back. Fairhaven Park is in south Bellingham off of Chuckanut Drive. From I-5 take exit 250 to Fairhaven Parkway. Go west about 1 1/2 miles to the light (Chuckanut Drive.) Turn left and the Park Entrance will be on your left in about 1/4 mile. Limited parking will be available at the Fairhaven Middle School. With the limited parking, we highly recommend carpooling to the event. The 5K course follows a large loop on roads and hard pack trails. 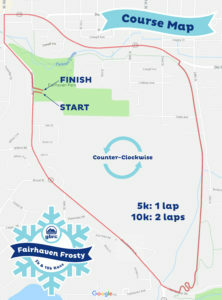 The 10K course is a repeat of the 5K course. The race starts in the park and immediately exits on Chuckanut Drive heading left (south). The largest hill, about 100 feet, occurs in the first 1/2 mile. The course continues on Chuckanut Drive, going back downhill then turns left on Old Samish Hwy for a short time before turning left onto the Interurban Trail. 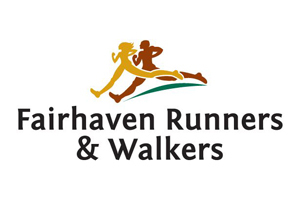 ￼ Follow the Interurban north for almost a mile before the route goes left (west) on Fairhaven Parkway until Chuckanut Drive, then turns left (south) until returning to the Fairhaven Park entrance and the finish chute. The 10K course will repeat this 5K route one more time. BBay Running and GBRC have joined together to start a program for runners to recycle their old running shoes. 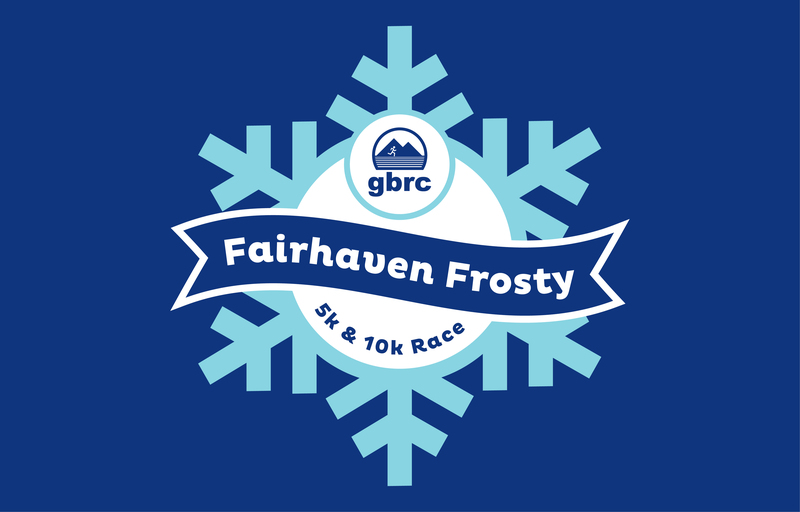 So bring all your old running shoes with you to the Fairhaven Frosty and we will take them off your hands and keep them out of our landfills. For more info on this program go to shoe recycling & reuse at bbayrunning.com. 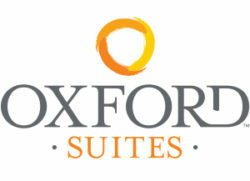 15% Discount Rate at Oxford Suites Bellingham for GBRC Members, Participants & Attendees of the Fairhaven Frosty. Awards are given for 1st to 4th place finishes in age groups.